HERE THEY COME! 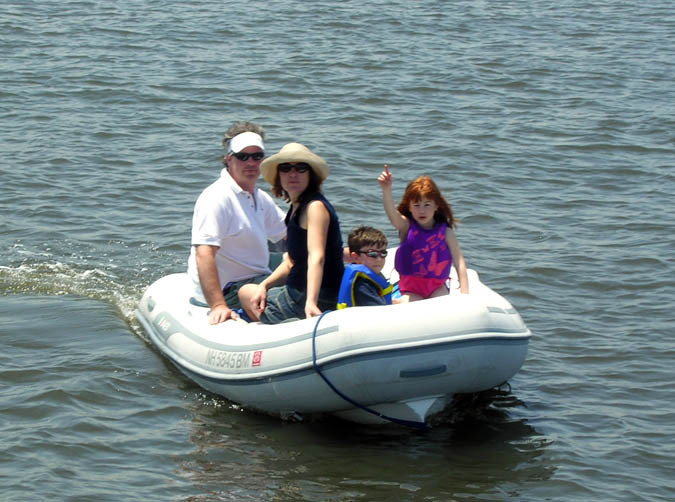 That's Henry (Alex), wife Mary, son Hal and daughter Neddy - enjoying a ride in the Sno' Dog dinghy. 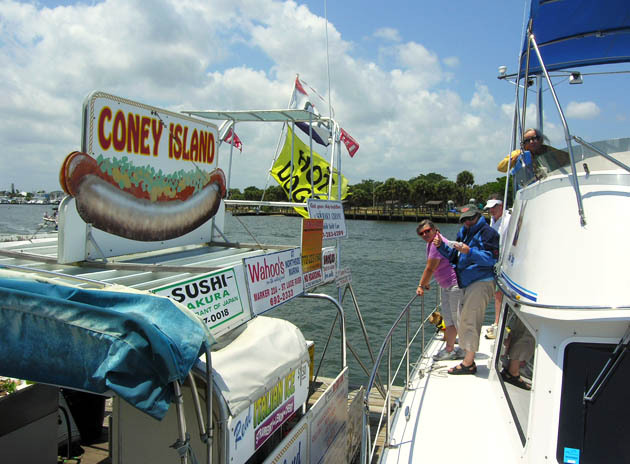 Near Stuart, we stopped at CONEY ISLAND, a floating hot dog stand. 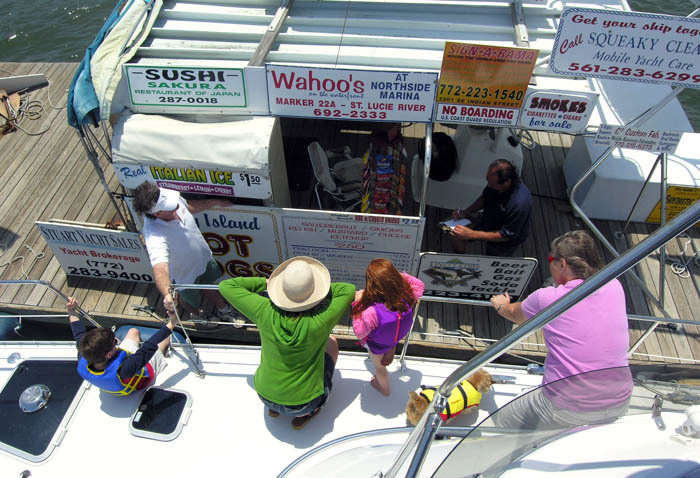 Here we are placing our orders. 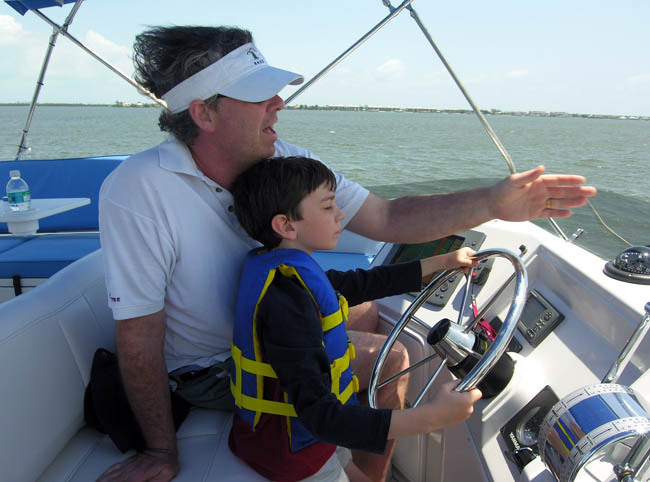 Henry (my son) directing his son Henry (Hal) at the helm. 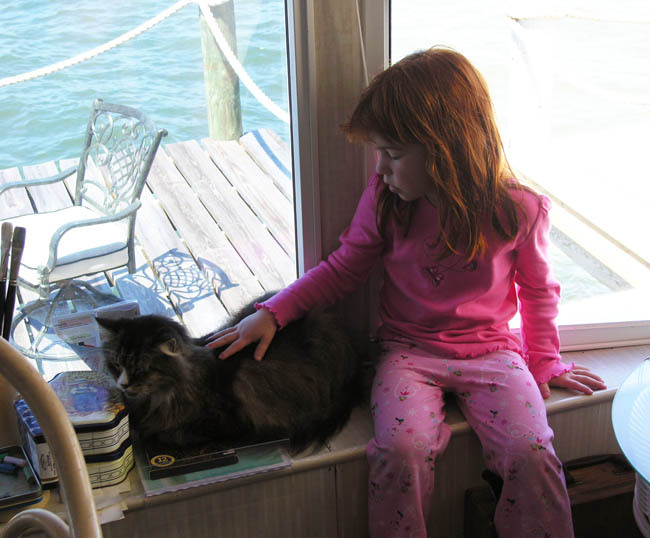 There are many Henry's in our family. My grandfather was named Henry and so was his father - he founded "Henry Clews & Co." a Wall Street brokerage firm. In addition, my son Henry's maternal grandfather was named Henry - and, both his mother and grandmother are Henrietta's! 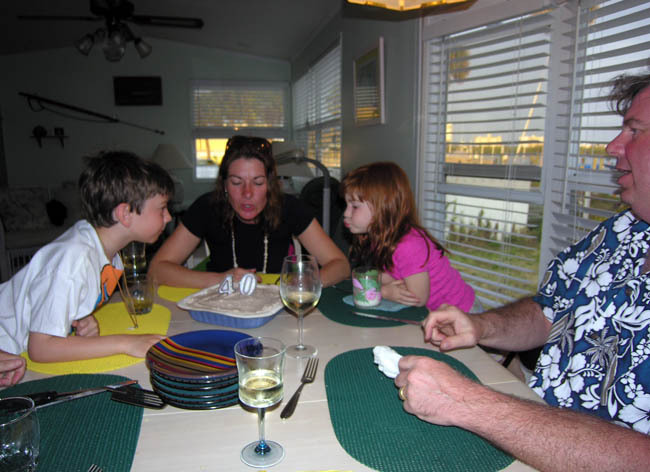 PS: To see a photo of daughter-in law, Mary celebrating her 40th birthday, Click here.